WANT TO TRANSFORM YOUR ESSAY FROM BLAH TO BRILLIANT? Learn what to do (and what not to do) in your application essays! As you gear up to write your application essays, you might look at sample essays and say to yourself, "These are great. But what do they have to do with me?" 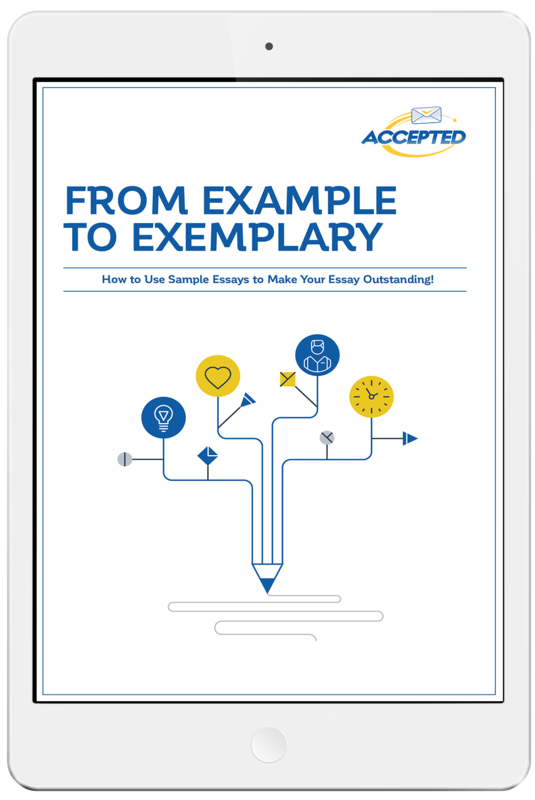 We'll show you how to apply the strategies used in successful admissions essays to your own application — turning your essay into an exemplary one.